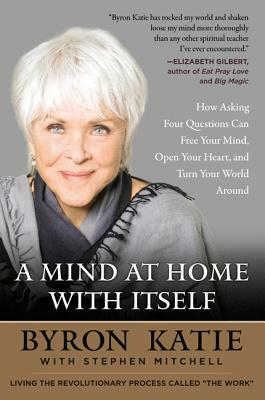 BYRON KATIE discovered inquiry in 1986. She has been traveling around the world since 1992, teaching The Work directly to hundreds of thousands of people at free public events, in prisons, hospitals, churches, corporations, battered women’s facilities, universities and schools, at weekend intensives, the nine-day School for The Work, and her 28-day Turnaround House. She is the author of three bestselling books: Loving What Is, I Need Your Love-Is That True?, and A Thousand Names for Joy. Her other books are Question Your Thinking-Change the World, Who Would You Be Without Your Story?, A Friendly Universe, and, for children, Tiger-Tiger, Is It True?. Her website is www.thework.com, where you will find many free materials to download, as well as audio and video clips, a schedule of events, and a free helpline. STEPHEN MITCHELL’S many books include the bestselling Tao Te Ching, The Selected Poetry of Rainer Maria Rilke, Gilgamesh, The Gospel According to Jesus, The Book of Job, The Second Book of the Tao, The Iliad, and The Odyssey. You can read extensive excerpts from all his books on his website, www.stephenmitchellbooks.com.